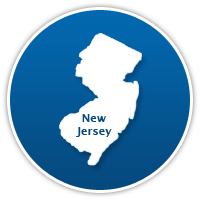 The New Jersey electricity commercial market is now deregulated, which means that businesses can shop for and find lower electricity prices. There is no easier way to cut down operating expenses than finding a lower electric rate resulting in lower monthly electric bills. Switching electric companies is a seamless process. New Jersey has an extremely competitive commercial electricity market as a result of high utility default rates that enables competitive suppliers to offer direct savings to businesses. Many small and medium businesses are already taking advantage of electricity choice by locking into fixed electric rate contracts with competitive energy companies that are significantly lowering their monthly electricity bills. Just as important as lowering their electric bills, these long term fixed electric rate agreements are protecting businesses from potential utility rate hikes that can occur in the future. With energy prices being one of the most volatile markets in the world, securing a low fixed electricity rate for your business is a wise business decision. Search for business electricity rates with our Business Electricity Matrix which allows decision makers to monitor, analyze, and lock in a low fixed commercial electric rate by comparing different term lengths with different start month dates. The Matrix also allows you to shop by your individual businesses energy consumption size (measured by the electric bill amount) so that you can get the lowest price possible for your property.